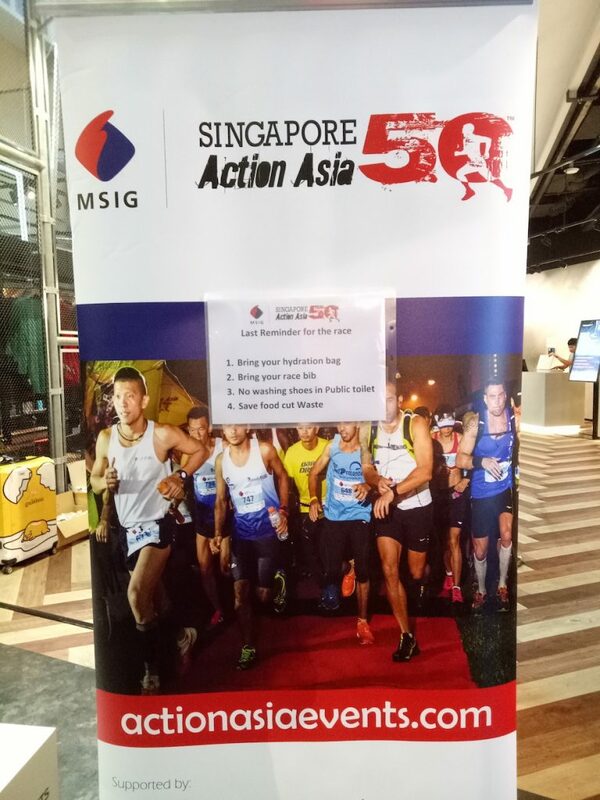 I couldn’t resist participating in MSIG Singapore Action Asia as there are not many trail running event in Singapore. This year is their 4th edition and they have introduced a new ‘zero waste category’ for the first time. 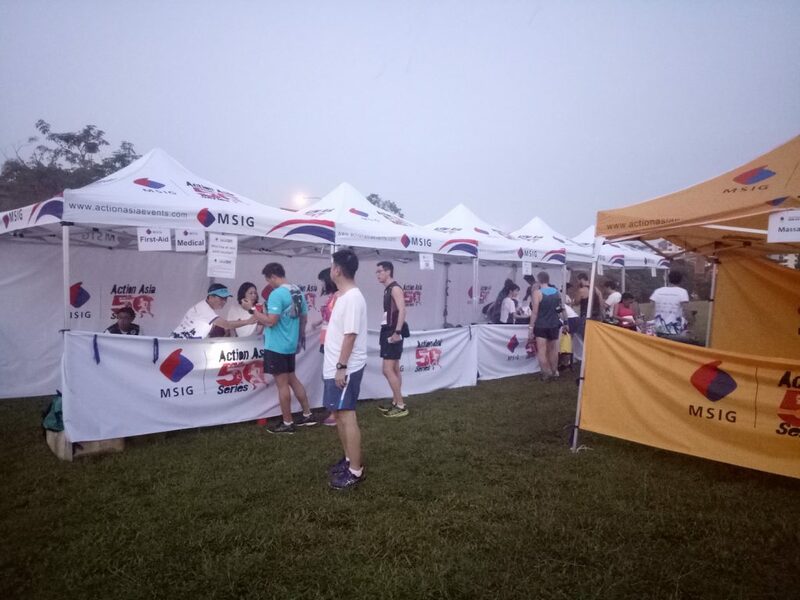 Runners who opt for zero waste will not be given race t-shirt and medal, but their race bibs would be specially designed for recognition and encouragement. This is a no cup event. Runners need to bring their own hydration bag, reusable water bottle or reusable cup. 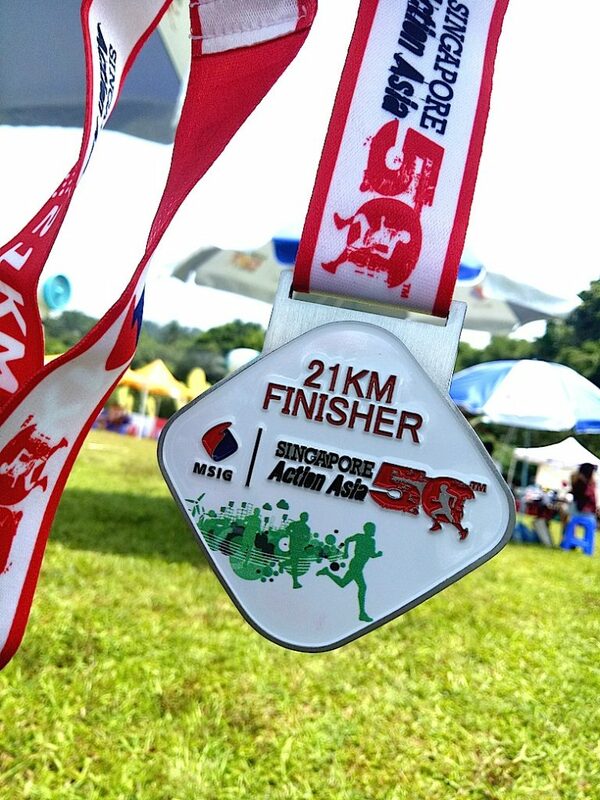 There are 4 distance categories to choose from to suit individual runner’s ability: 5KM, 10KM, 21KM and 50KM ultra. I participated in the 21KM category. It is my favourite distance as it is not too long and not too short. 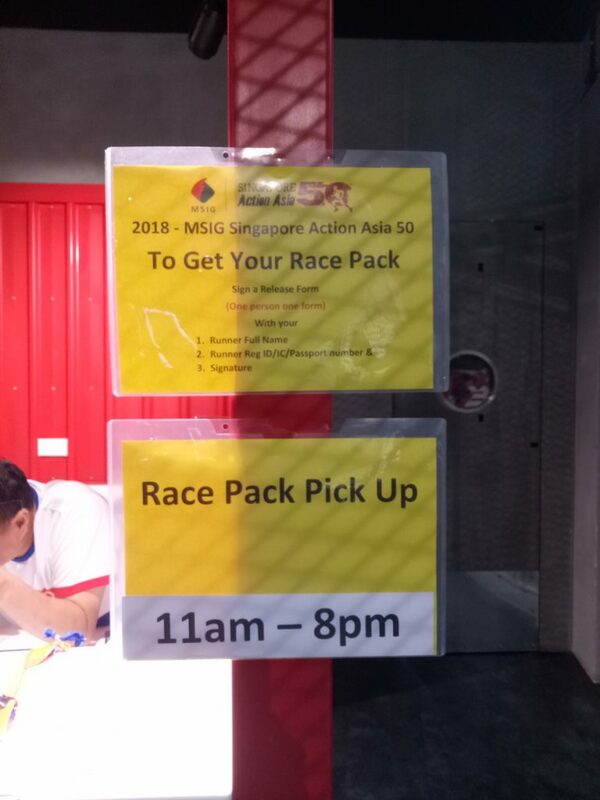 Race entry pack collection was held at Triple Fit at Millenia Walk from 26 – 28 September 2018. When I went there on 27 September, there wasn’t anybody and I could collect it immediately after signing a waiver form. I collected my race bib, race t-shirt and a $10 gift voucher to shop at the store too. There was suppose to be a cap to be given but it was not yet available so I was asked to collect it on race day morning instead. There wasn’t any carrier bag given, we were advised to bring our own bag for the race pack. 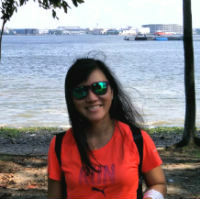 Race village was held at Hindhede Walk near Beauty World MRT, exact same location as last year’s. I overslept and only arrived at the race village at around 6.40am. There were many mist fans blowing to cool off runners. I collected the cap and waited for flag off. We were flagged off at exactly 7.00am. 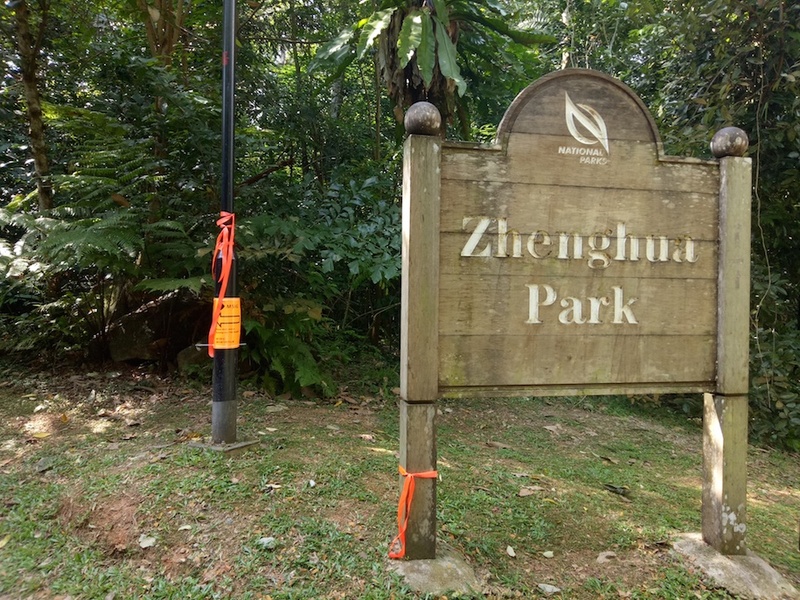 The race course includes Rail corridor, U-turn near Hillview Avenue, onwards to Dairy Farm Nature Park, Zhenghua Park, Track 15, Chestnut Nature Park and back to the start point. 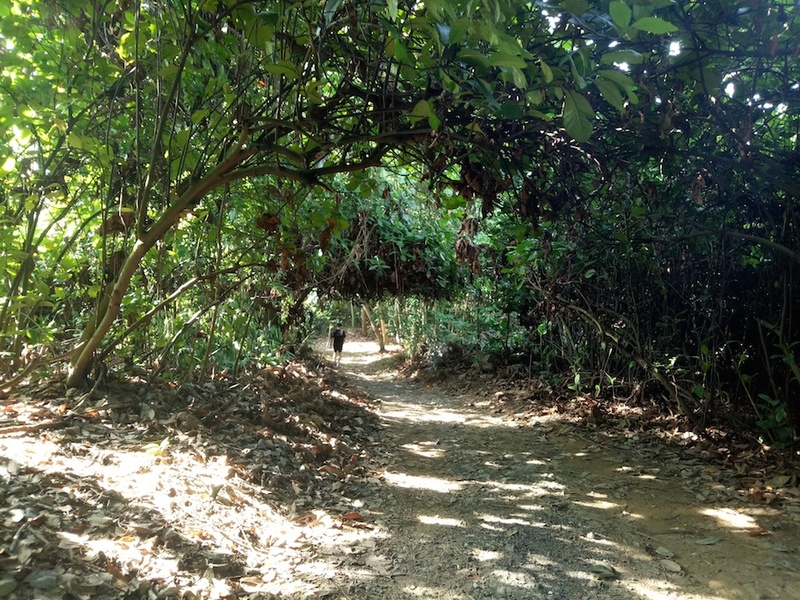 It is mainly off road, running on grass, dirt, gravels, tree roots, slopes and so on. There was bottleneck in the beginning when we were going upslope on the grass patch. Situation eased off after we cleared that narrow area. At around the railway track area, I was suddenly bitten by an unknown insect that looks like an ant between my foot and my long running tights. That area that wasn’t being covered by the sock or the tights. It was a sharp pain that felt like a needle poking through my flesh. I stopped and saw a small hole that was a bit red. I tried to ignore it but the pain was quite intense and I quickly squeezed it so that any venom could be forced out. I carried on running but sharp pain continued so I had to stop and check it again. I thought that small fierce insect was maybe poisonous so I squeezed the area hard again to force out more venom. After a while, pain was not that intense anymore and so I carried on. Luckily it didn’t bother me again (red scar is still there now with itch). 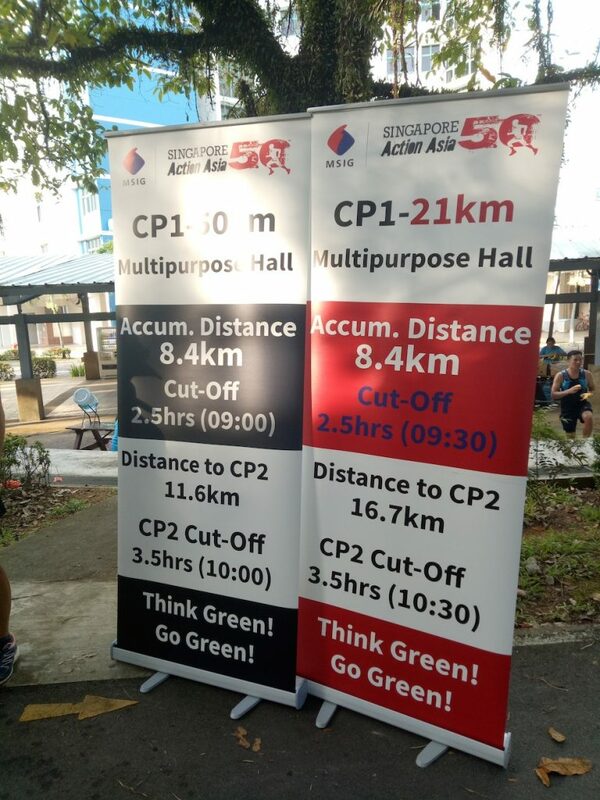 CP1 was located at around 8.4KM along Bukit Panjang Park Connector. 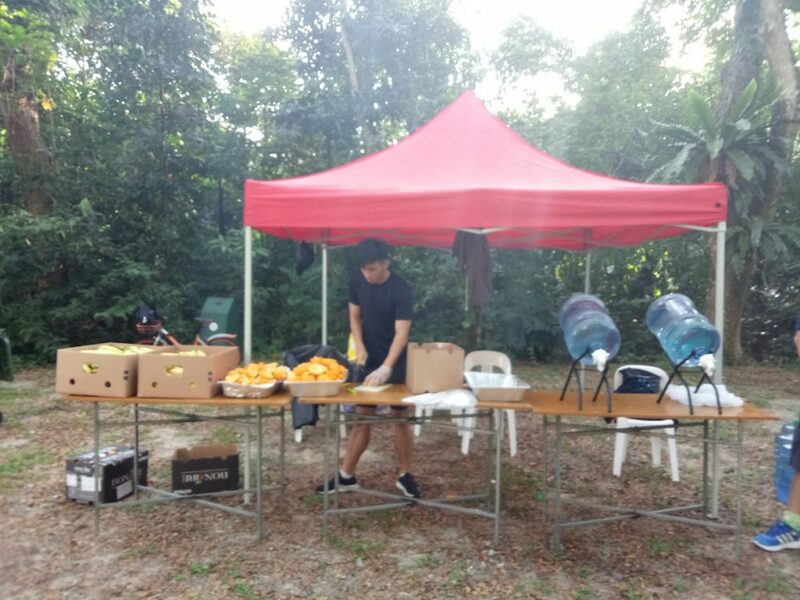 There were large 18L water bottles for refilling, bananas and fresh oranges too. 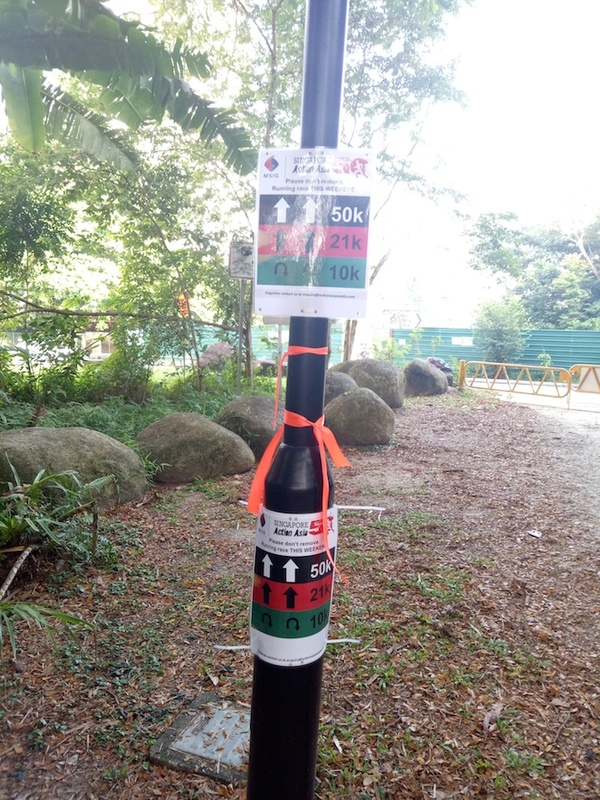 After this CP, it would be quite a long way before I could reach CP2 at 16.7KM point at the junction of Chesnut Avenue and Zhenghua Park. 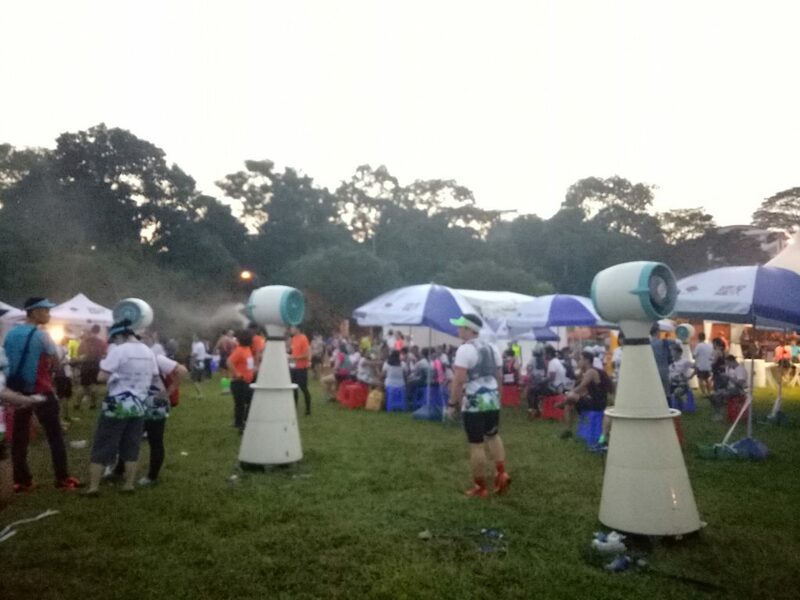 As the CPs were quite far apart, runners who did not bring enough water would suffer, especially under the hot weather, unless they can run very fast. There was also no isotonic drinks available, so there was nothing to replace your electrolytes. I know I can survive without isotonic drinks for a half marathon, but not beyond that distance. 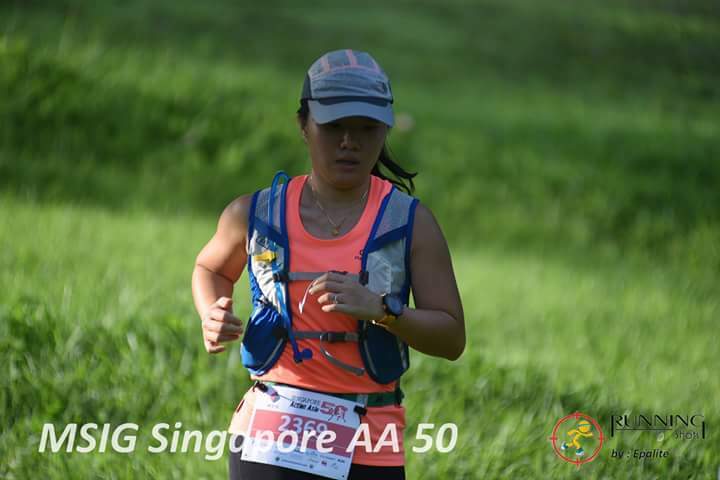 I don’t know about others, especially those running 50KM ultra. No isotonic drinks at CPs? Both my hands were swollen and hard to bend due to low electrolyte level and increased blood flow. Weather has been extremely hot nowadays with little rain. So that makes the dirt path dry and not muddy, easier to run on. After 10KM, came my heel pain again (nothing new). I just told myself to move one step at a time and keep moving forward, combining slow jog and walk and eventually I would complete. I should stop running for at least 6 months to 1 year to let my foot recover completely, but there are still races upcoming. Perhaps next year I would take a break. 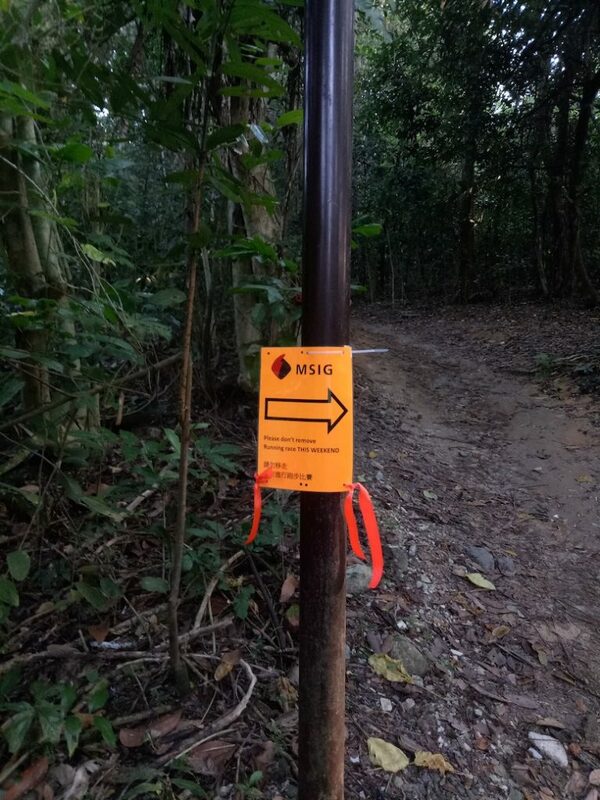 Directional signs were bright and visible with orange ribbons tied on trees and poles to direct runners. Marshals were around to show direction at major junctions. I was able to follow the ribbons for the whole course and did not lose my way. 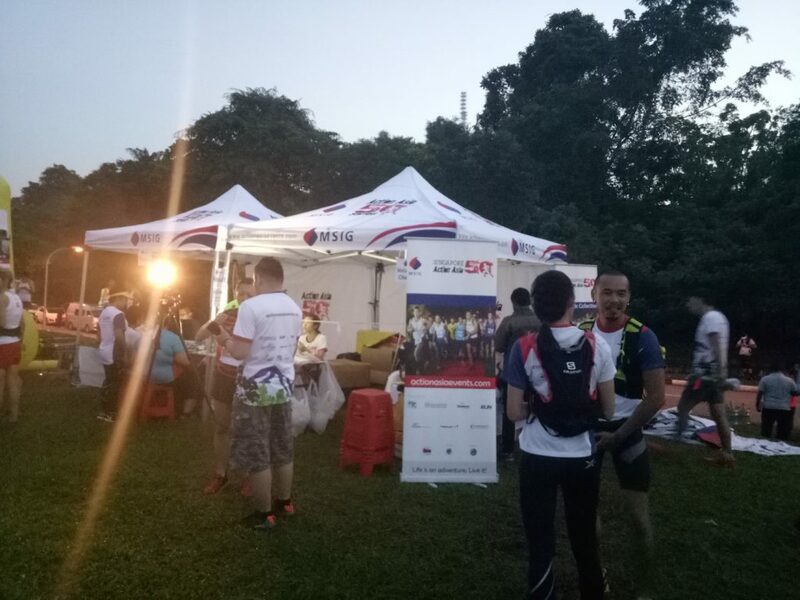 When I was near the finish line, a volunteer told me there was nasi lemak waiting for me. Then he quickly said “but I think you need water right?”, I said “yes, is there isotonic drink?”, he said maybe 100plus. I crossed the finish line and someone put the medal on my neck. 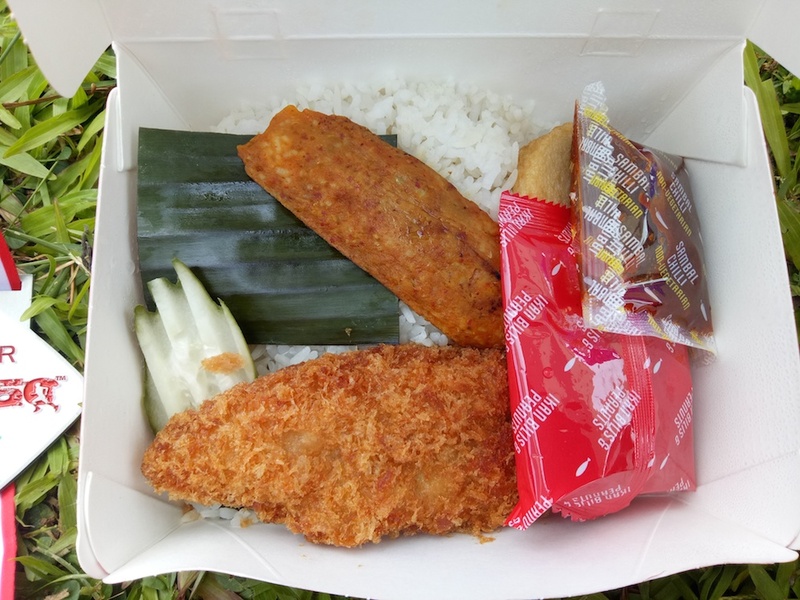 I went to collect food (there were a few choices like vegetarian, nasi lemak with chicken, fish or beehoon with chicken, etc). I asked where can I get 100plus. The lady said she was not sure and looked over at the VIP area. I saw it but it didn’t look like it’s for the general participants. So I went to collect a popsicle. The sun was in full force and luckily I was able to find myself a spot to sit down under a tent. 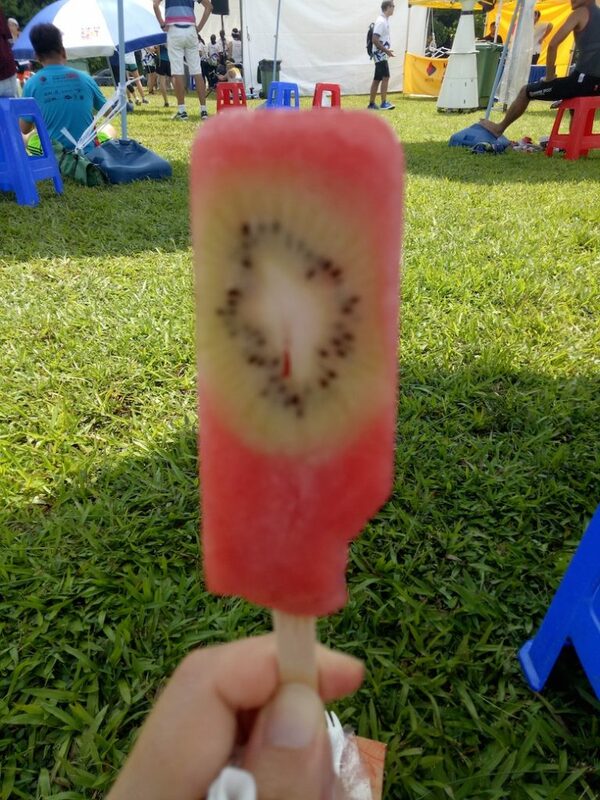 The popsicle was so good and it saved the day! 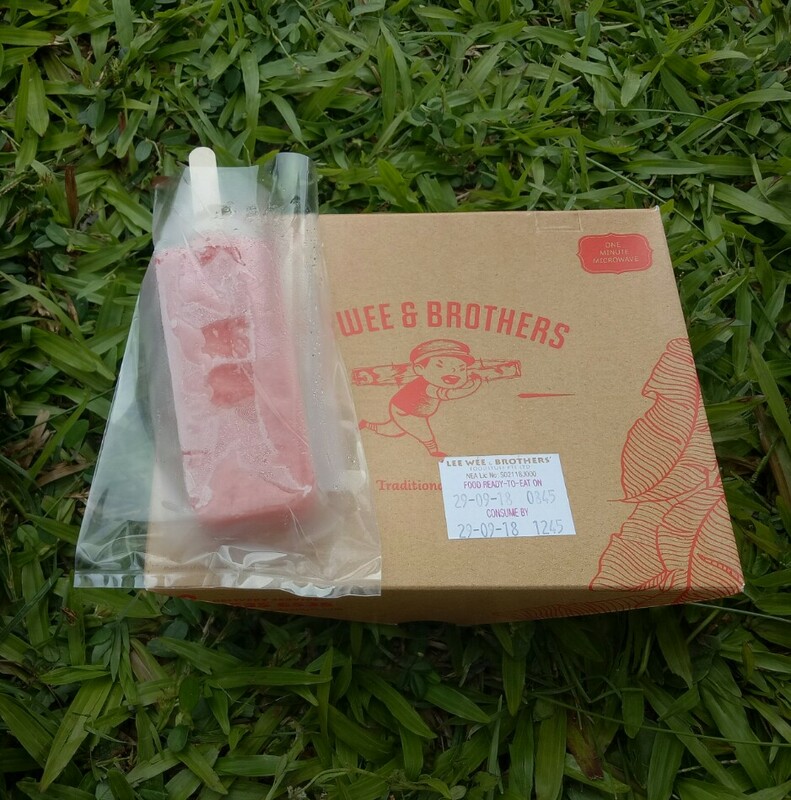 After finishing the popsicle, I forgot about my 100plus. So, I completed another Action Asia Event safely without much training due to PF. The medal is beautiful, a white finish. The event was well-organised except for the lack of sports drink.